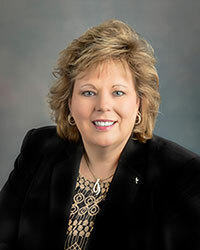 Prior to being elected as City Clerk of Fort Wayne, Clerk Keesling held an executive position in a privately held company managing finance, information technology, and human resources. Prior to that, she was a small business owner for ten years. Clerk Keesling holds a Bachelor of Science Degree in Business Administration, graduating with Honors, and an MBA. Clerk Keesling is a Richard G. Lugar Excellence in Public Service Alumni, and was named Volunteer of the year for the Girl Scouts Northern Indiana Michiana in 2009. She serves on the Metro Human Relations Commission as the Vice-Chair, PTC/Citilink Board serving on the Legislative and Finance boards, League for the Blind where she is the Finance Chair and sits on the Governance board, and the Fort Wayne Government Access Board. She is the Past President of the Allen County Purdue University Extension Advisory Board where she still remains on the Advocacy Committee. Clerk Keesling has volunteered her time each week for the last 3 years to the Study Connection which tutors students. In addition, she is the President of the Allen County Republican Women's Group and a member of the Downtown GOP Club. Clerk Keesling also is proudly endorsed by Right to Life. As an entrepreneur, businessperson, community leader, mom, and volunteer, Clerk Keesling brings a unique perspective for many different avenues of community involvement. She has brought a new voice that is making a positive impact on the leadership of Fort Wayne. Clerk Keesling is married and enjoys time at the lake with their seven children and ten grandchildren.